What’s all the fuss about Wedding Websites? In a day & age, where everything in our lives is so dependent on technology so much so that we have even taken to buying our day to day grocery online, who has the time and patience to actually go out & plan an entire wedding! 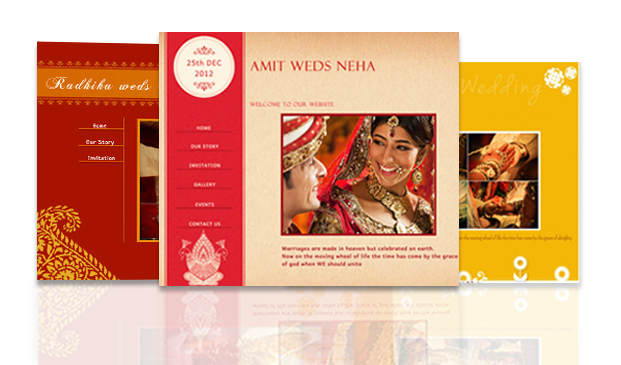 Well get ready to welcome the hottest & new-age way of planning your wedding- the Digital Way! And this is something you can do sitting at home with your better half, on your couch, sipping a hot cup of coffee! Today, we are lucky to witness the exciting confluence of technology and something as traditional as a wedding. 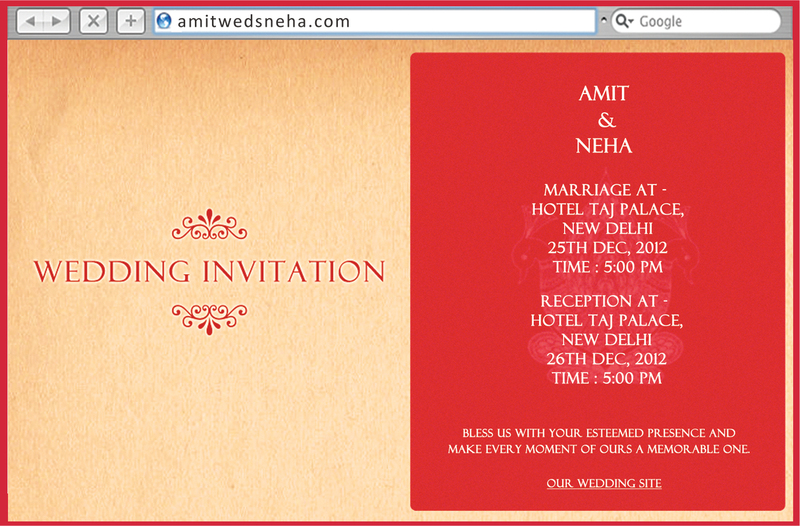 ‘Wedding Website’ or ‘Wedsites’ is a revolutionary trend in the online wedding scenario right now. It is a beautiful way to track a couple’s journey right from when they first met to the ceremonial culmination of their wedding. ‘Click’ to send e-invites, upload & share images embed fun family videos, provide date & venue details…. a wedsite lets you do all this & much more! What exactly is a Wedsite? Also, on a more practical note, since most guests have access to the Internet, a personal wedding web site is a convenient way for guests to stay in touch with the couple & their latest wedding planning endeavors. This especially works wonders for couples from different towns & who have friends spread out all over the country. http://www.myshaadi.in, is one of the few Indian websites that provides this unique & dynamic service where couples sign up a few months prior to their wedding and create their very own ‘Wedsite’. Not only is it a ‘fun’ way to plan your wedding but it is also quick & convenient to share details & interact with guests! The couple can easily create their guest list by simply importing contacts from their Gmail list or adding them otherwise & send them beautiful theme based e-invites. Creating Photo Albums of Pre-Wedding Pictures, Wedding & Post-Wedding Pictures is one of the most loved features of a Wedsite. Couples can also share their story and write blog entries along with videos to make their wedding website even more interactive. 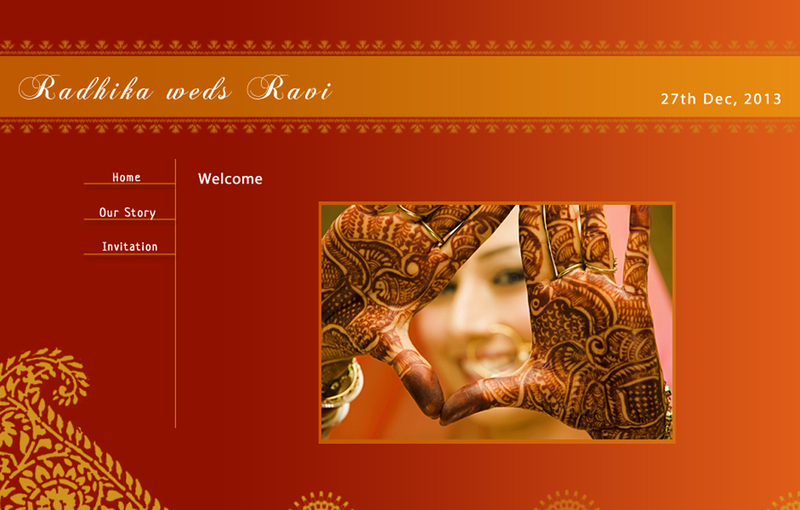 From the guest point of view, there is easy accessibility of time & venue information on the wedsite even on the go. Do the websites also live ‘happily ever after’ once the marriage festivities are over? Renewing the website & keeping it for a long period of time is the couple’s choice. Some might like to use it only till their wedding day, others like to keep it for much longer keep adding future memories to them including their honeymoon, anniversary celebrations and other significant milestones. So all in all, Weddings & Technology are turning out to be a dynamic combination and young couples today can’t afford to give it a miss! Wedsite is the most convenient way of organisin a marriage these days.Great article.Keep sharing stuff like thins.